The other night I wanted an easy and quick dinner option and thought it would be a good idea to use the BBQ since it finally feels like summer (in Sydney). I had seen on the menu at a pub the other night chicken and chorizo kebabs on a green salad. Unfortunately I could not eat the dish as the chicken was marinated in something glutenous, however it gave me the idea to make my own kebabs. Two trips to the shop later (after first realising we had no skewers and then realising there was no gas in the gas bottle) I firstly soaked the skewers in water and tossed the chicken in peri peri seasoning. 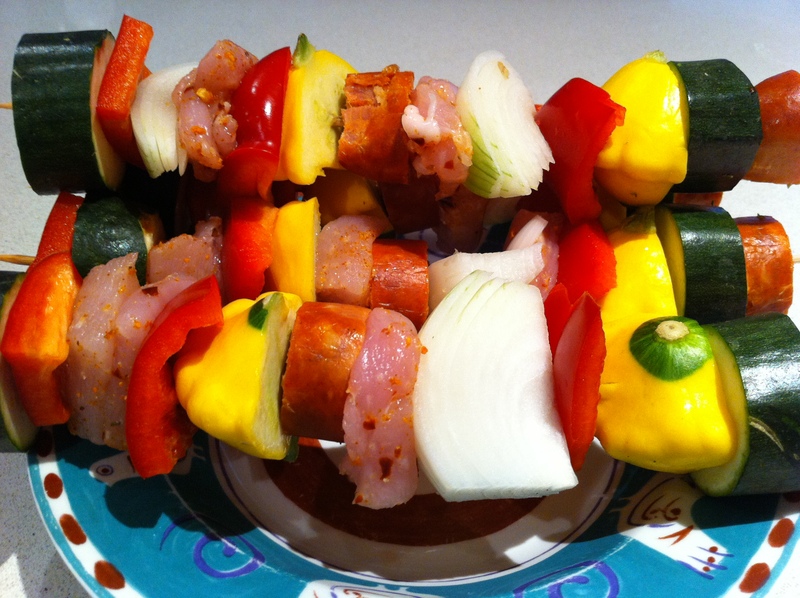 Then all you have to do is cut up some vegetables (I used zucchini, capsicum, squash and onion) and thread them onto the skewers with the chorizo and chicken. I definitely recommend using chorizo as well as chicken as it gives a great kick of flavour. 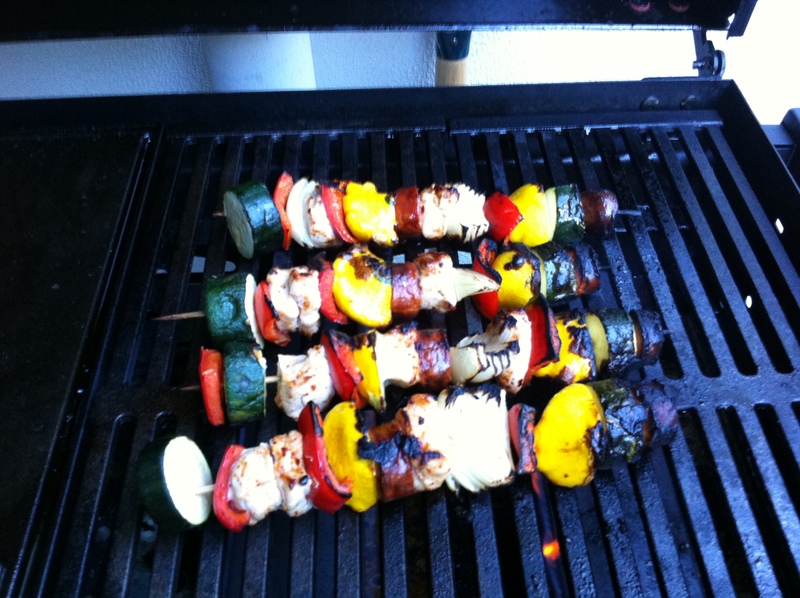 Then just put them on the BBQ (with the lid closed if you have one) turning every now and then until cooked. 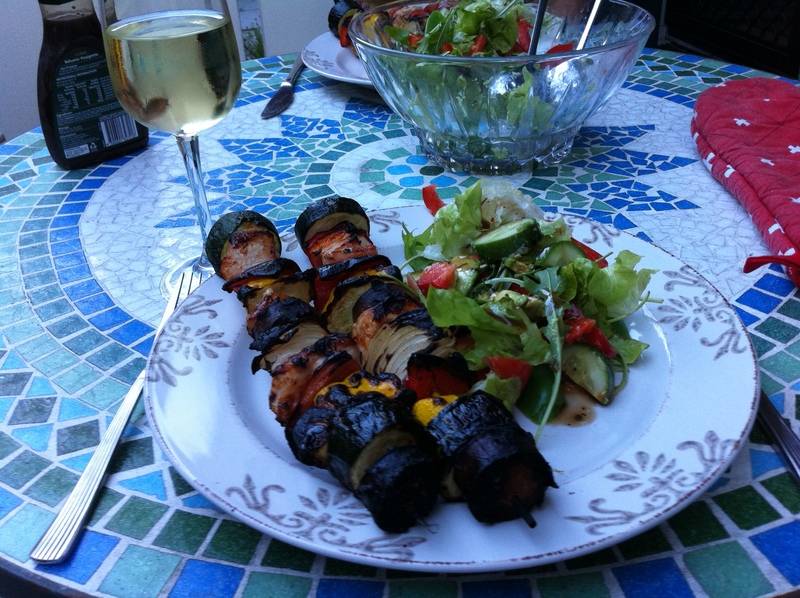 What is your favourite summer meal? Thanks 🙂 They were very tasty!